Dr. Gary Wiren is a golf teacher, player, and educator. He has taught over 250,000 people in groups, private lessons, schools, lectures, performances, outings, and seminars. He is a graduate of Huron University in South Dakota, with a master’s degree from the University of Michigan and a Ph.D. from the University of Oregon. He was a collegiate conference golf champion, winner and record holder of long-drive contests, player in PGA Sr. National Championships and the USGA Sr. Open. 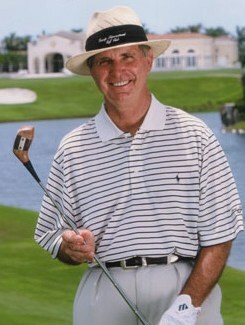 He is currently a and member of the PGA Hall of Fame and the World Golf Teachers Hall of Fame. Gary has been a proponent of fitness training for golf for over 40 years, lecturing and writing on the subject around the world. Gary’s relaxed and fun teaching style is highlighted by the vast expanse of knowledge he has for the game. Find Gary’s availability by calling us at 561-801-3972, or emailing us at garywiren@gmail.com. Dr. Wiren can visit your home course in the summer, and with an invitation from the club, join the professional staff in conducting a golf school. It is an opportunity for members and staff to learn and share with a Golf Digest, Golf Magazine Top Teacher and author of The PGA Teaching Manual. The school includes long and short game, putting, bunker play, effective practice, course management and physical training and psychology. These are all subjects on which Gary has written books. Besides being a great learning experience, the school is always fun! Spending time with a teacher who has over 50 years of experience with all levels of golfers is in itself a great experience. 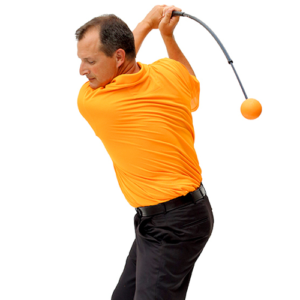 Dr. Wiren will help you develop a program based upon your golf goals. This is important, for without a clear cut plan for improvement progress is questionable. That plan will be directed toward you learning to find YOUR BEST SWING AND PLAY YOUR BEST GAME, not trying to mimic some Tour Players’ style which may not fit you at all. Dr. Wiren is also available for small group lessons. For the most upscale golf experience, you and two or three players can have instruction and play with Gary Wiren at a world class facility. Your golf game will improve rapidly with instant constructive feedback. Gary’s relaxing style of teaching keeps the game and the learning fun and stress-free. 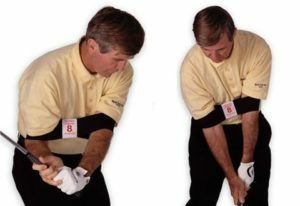 Slip your arms into a looped stretchable strap that will keep your elbows focused inward, like Ben Hogan and Tom Watson, aiding both release and accuracy. The Golfer’s Footprint Swing Trainer encourages proper alignment with every swing. It gives you a visual reference tool that standardizes your pre-shot routine and helps you to square your feet, body, and clubface to the target line. 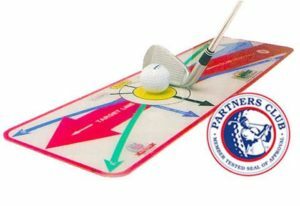 Combines a counter-weight system with a flexible shaft to promote a rhythmic swing that focuses on stretching and strengthening the player’s core. …Wiren’s legacy of creating what is still the only extensive teaching manual developed by any PGA in the world may be what he is best know for…the PGA Teaching Manual. – Glen Cundari, Technical Director of the PGA of Canada and committee member of the PGA World Alliance Education overseeing golf standards for professionals across the globe. …I can safely say that Dr. Gary Wiren has been one of the most influential people in my adult golfing life. He is a giant among golf professionals and educators alike.